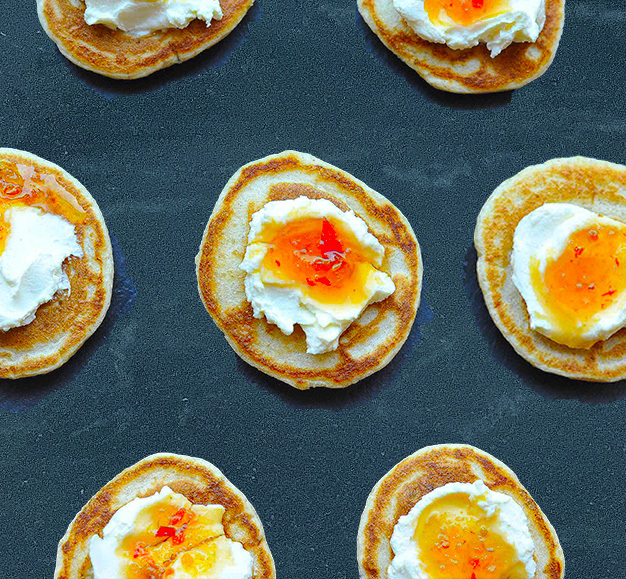 Homemade buckwheat blini topped with cream cheese and Smy Goodness six-pepper jelly. The cream of the cheese pairs perfectly with the heat of the chilli jam. Homemade buckwheat blini topped with prosciutto, gorgonzola and Smy Goodness savoury black cherry and black pepper compote. 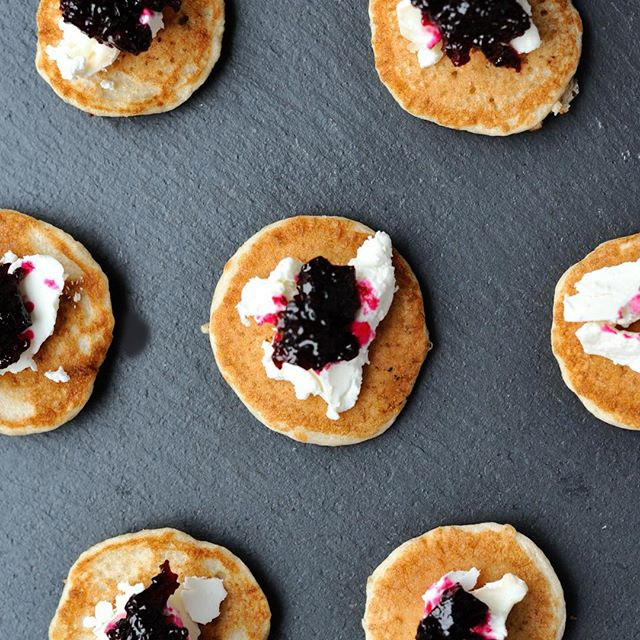 Homemade buckwheat blini topped with goatscheese and Smy Goodness beetroot reduction.